WASHINGTON (Reuters) - When President Donald Trump stormed out of a White House meeting with congressional leaders last Wednesday, U.S. Senate Majority Leader Mitch McConnell sat there silently, uttering not a word as the talks blew up, according to others in the room. U.S. President Donald Trump departs with U.S. Senate Majority Leader Mitch McConnell and Vice President Mike Pence after addressing a closed Senate Republican policy lunch as a partial government shutdown enters its 19th day on Capitol Hill in Washington, U.S., January 9, 2019. REUTERS/Jim Young The No. 1 Republican in Congress, who rose to power on his reputation as a master of legislative wrangling, has had little to say in public or private during a partial federal government shutdown that began on Dec. 22 and has no end in sight. 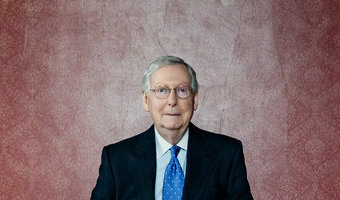 Showing no interest in defying his president and Trump’s demand that triggered the shutdown for funding for a U.S.-Mexico border wall opposed by Democrats, McConnell has kept … [Read more...] about As government shutdown drags on, where is Senator McConnell? Donald Trump Frustrated with Republican Spending Bill: Where Is the Money for the Wall? President Donald Trump expressed frustration with Republicans Thursday for passing a spending bill that does not include funding for a border wall. 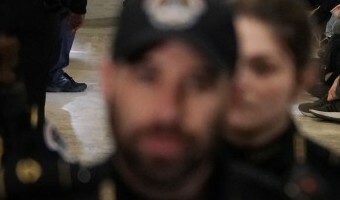 “I want to know, where is the money for Border Security and the WALL in this ridiculous Spending Bill, and where will it come from after the Midterms?” Trump wrote on Twitter.The Senate voted Tuesday to pass the $854 billion spending bill to fund the Departments of Defense, Health and Human Services, Labor, and Education. The bill also includes a measure to fund the rest of the government until December 7. The bill now faces final approval in the House. 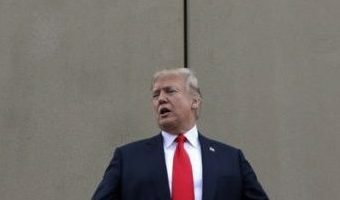 Trump has repeatedly floated a government shutdown to get wall funding but has appeared open to Senate Majority Mitch McConnell and House Speaker Paul Ryan’s plan to fund the wall after the midterm elections. “Most likely I will not do that, but we’re going to do it immediately after the election, I have the commitment from Mitch McConnell, from Paul Ryan from … [Read more...] about Donald Trump Frustrated with Republican Spending Bill: Where Is the Money for the Wall?